Meeting Guest Speakers at the Airport: What’s the Proper Etiquette? If you’re planning an important business conference or seminar, you may have painstakingly researched and hand-picked the perfect guest speaker for the event. But with booking a guest speaker comes a number of related details that are often overlooked by event coordinators, as small as arranging for airport transportation. Arrange for an event representative to meet the guest speaker at the airport. Schedule an Austin car service to pick up the guest speaker from the airport safely and promptly. Car Service or Personal Pickup: Which Is Best? While both options are professional and socially acceptable, it helps to weigh the pros and cons of each, as well as the time that you have available to pick up a guest speaker personally from the airport. The truth is that time is money. Many businesses or event coordination companies may simply lack the time or resources to greet multiple guest speakers personally at the airport that may be flying in for a seminar. In that case, a guest speaker should be informed via email or over the phone as to the airport arrangements. Once a guest speaker has been notified that professional transportation will be provided to take them directly to the event or their accommodations, an event planner can return to the important task at hand of planning a business conference. If your business decides that car service hire isn’t the right option to pick up a guest speaker at the airport, a personal pickup may be needed. 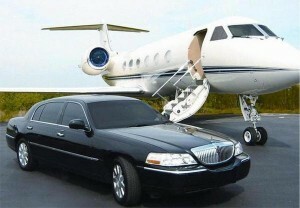 Or perhaps you are meeting a VIP guest speaker at the airport, such as a celebrity or important business contact. In this case, you may want to ride along with a chauffeur limo service to the airport to meet the guest speaker in person and show how valuable their time is to you. Arrive at least 15 minutes early to compensate for traffic or delays. Be prepared with a sign if you have not met the guest speaker in person. Dress the part in professional attire for even a short airport pickup.